Looks like they have a marketplace that you have to log into to select product. Following their Facebook page can probably help you remember to log in. Looks like they use a “Deal Coin” to incentivize you to write your reviews and that if you don’t you can’t get a coin to select another product. Their site does not use https secure encryption, most notably on the login page. This is not good practice, and I recommend you proceed with caution. I’ll be reaching out to them to see if they can consider protecting you by employing https sitewide. I recommend you pester them too. 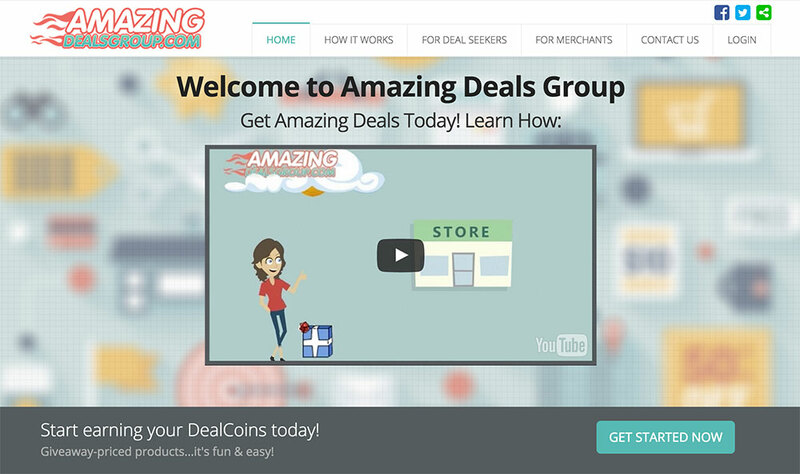 I signed up for Amazing Deals Group and only bad 5 deals to choose from. LootHoot is MUCH better! The most iv seen being advertised to review on this site is 6 and I believe that was an excellent week for them. Other than that maybe 3, but i have only been a member for about 3 or 4 months so maybe it will get better. Iv never found anything on here worth reviewing. You’d be better off not even bothering with them,,,,On Ebay they have a 65% negative feedback….Why?….They don’t deliver what you buy and it has to be settled in the “Resolution Dept.”, to get your bucks back….No communication from the jerks at all and a total waste of time….I think someone is selling out the back door myself and sometimes can’t deliver….Buyer beware. I ordered the Pixy Pen from Amazing Deals and paid by credit card. After receiving the product, I noted on my credit card statement that they were charging $11.99 three different times. I called and told them to take these additional charge off, and do not do this again. They said I signed up for a membership, but I told them, I was not aware of this at all. They refunded one charge but the other two were not refunded. I called the second time but could not get a representative to speak to, so I left a message asking to have charges removed. They didn’t return my call, and no charges were removed. I contacted my credit card company and they are working on this problem. I will NEVER order from them again, buyers beware!